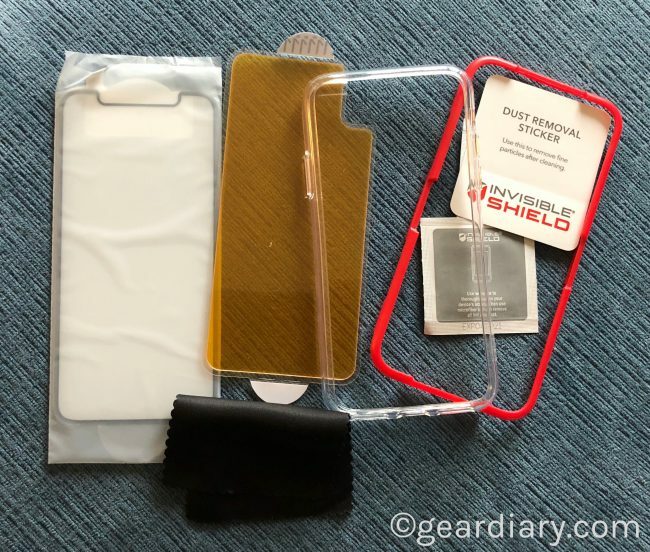 I’ve always been a fan of Invisible Shield’s screen protectors. They’ve come a long way since I reviewed my first product from them. The new Glass+ 360 takes things to even greater heights. 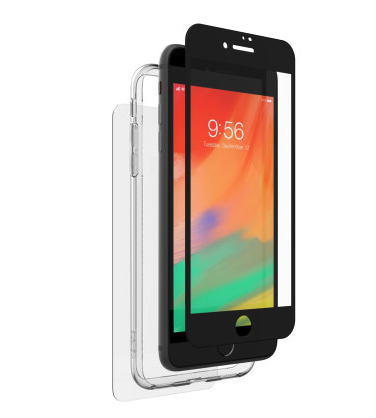 The system, and it is a system, delivers complete front, back, and side protection without adding weight or bulk to your iPhone 8, 8 Plus of X. 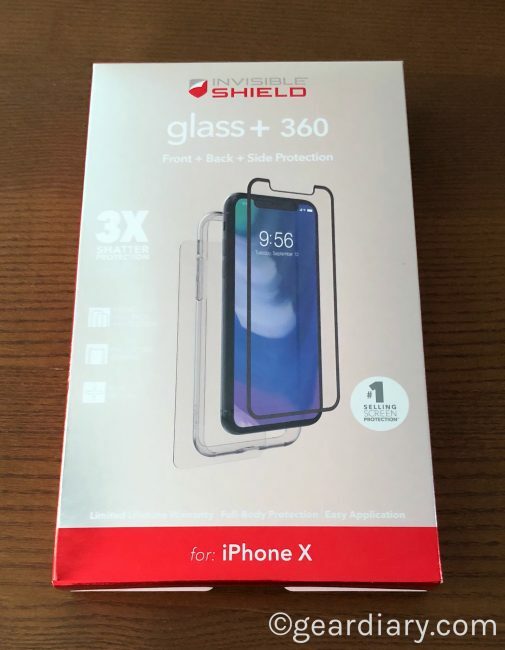 At $69.99, the Glass+ 360 for Apple iPhone X protects your screen with a tempered glass screen protector. It protects the back with a hybrid glass back plate. And it protects the top, bottom and sides with an included TPU bumper. Better still, Invisible Shield has developed a product and an installation system that even lets fat-fingered people like me apply the front and back glass plates perfectly! Inside the box, you get the Glass+ 360 system, an EZ Apply Tray, instructions, a microfiber cloth, a cleaning wipe, and a dust removal sticker. 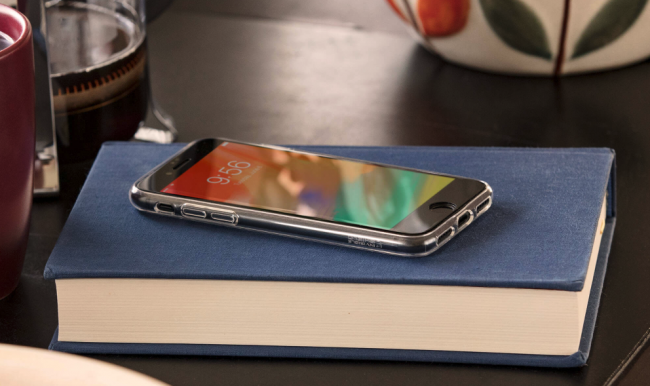 Don’t hide your new iPhone under a bulky case. Let its beautiful lines take center stage with sleek, discrete, 360 degree protection. 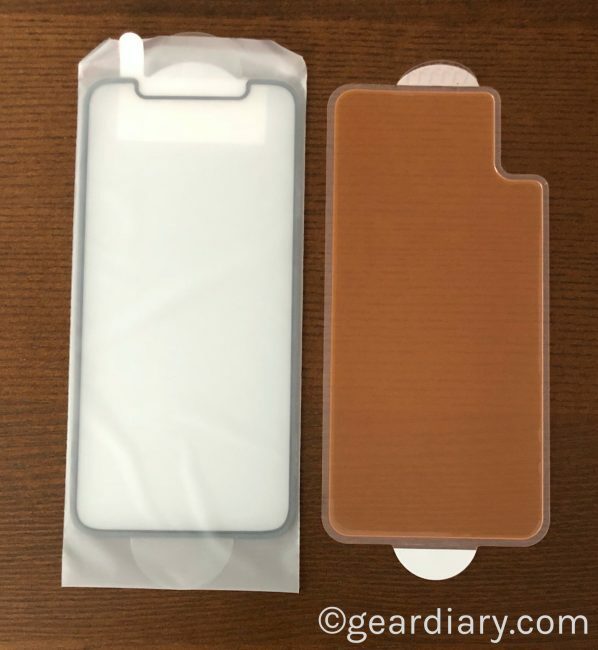 The painted glass border coordinates perfectly with the color of your iPhone, and the beveled edges of the screen protector seem to disappear onto your screen. Glass+ 360 completes the look with a clear, smooth bumper. Let’s take a look at each of the three components that are part of this system. My first screen protectors were made from a soft, flexible but durable material. 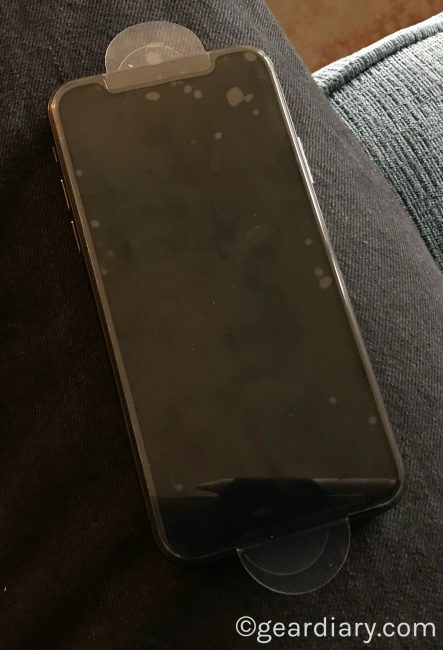 To apply them you needed a spread a gel over the screen, apply the screen protector, push bubbles out from under the screen and then wait for the get to dry. It was a difficult and messy product and I never quite got the hang of it. My screen protector applications always ended up slightly misaligned and always had a few bubbles. I was so bad at applying the old screen protectors that, more than once, I waited until I would be seeing Judie and have her apply them for me. My how things have changed. 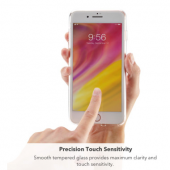 The Glass+ screen protector is made from tempered glass. There is no need for gel and the application process is made simple thanks to the inclusion of an alignment guide. 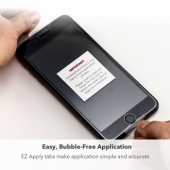 Fast, Accurate, and Bubble-Free: We believe installation should be as simple and accurate as possible, so we are constantly refining our processes with innovations like our EZ Apply technology and advanced adhesives. To do the installation, you simply remove whatever may have previously been on your phone and clean it off using the included wipe. You then place the guide around your phone and remove the backing on the screen protector to reveal the adhesive that is already in place. Tabs at the top and bottom of the screen protector let you align the glass with the screen without the need to get your fingers anywhere near the adhesive side. When you have things aligned properly you lower the Glass+ onto the phone and smooth it out to remove as many bubbles as possible. When you have things as close to perfect as possible you can remove the top protective layer from the Glass+. Don’t worry if there are a few straggling bubbles, they will disappear in a day or two. I especially love the fact that the Glass+ has a colored edge that matches your iPhone and adds to the seamless appearance of it once in place. 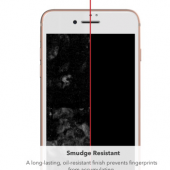 The result is a glass screen protector that is bubble and fingerprint free. Better still, the clarity of the glass is amazing. 100% clarity plus precision sensitivity: Even the clearest images lose their impact if viewed through cloudy screen protection. Glass+ screen protection has 100% clarity which means it works flawlessly with the enhanced optics of your phone’s screen to deliver sharp, vibrant images and video. The meticulously designed composition of the Glass+ preserves touch sensitivity so your phone responds to every tap and swipe. 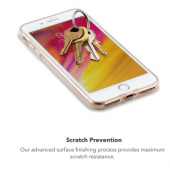 Invisible Shield wants you to be able to protect the delicate glass back your iPhone without negatively impacting the wireless charging that is, to my mind, the best feature of the current iPhone lineup. That’s why they included a glass back protector as well. The process is similar to the one used to apply the front place. You use the included wipe to clean the back, the cloth to wipe it down and the dust removal card to get rid of any remaining dust. The glass back doesn’t use the installation guide but it does have the same alignment tabs that let you make sure the protector is properly aligned until you are ready to place it down on the phone. Place the glass on the back and then push out any many of the bubbles as you can. The stragglers will disappear after a day or so. Knowing there is a layer of protective glass on top of the phone gives me some additional peace of mind. At this point, you can feel confident that your phones from and back are safe. I applied both and then popped my phone back into the case I have been using. 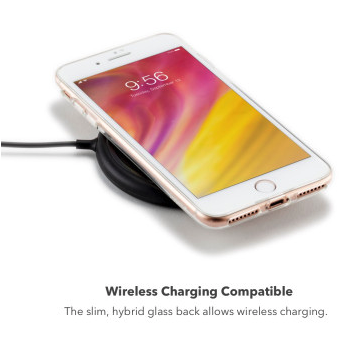 The backplate is thin enough that it doesn’t get in the way and doesn’t negatively impact the wireless charging. If, however, you want total protection without the bulk of a case you can use the included TPU bumper. The bumper is as simple as it sounds. Once you slip the phone into it the top, bottom, sides, and corners will be completely protected. 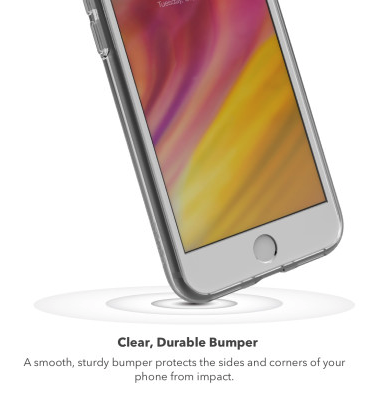 The bumper rises just enough above the screen to give you lay-on-the-table protection. I’ve used the bumper a bit and like the degree of protection it offers but ended up preferring the added layer provided by a complete case. 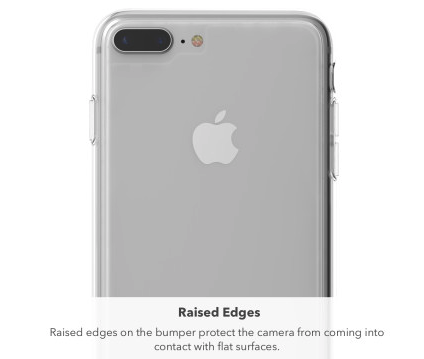 Raised edges for added protection: With primary and secondary lenses, depth-sensing capabilities, and studio-quality lighting effects, you get the most amazing shots with your iPhone. The raised edges of the Glass+ 360 bumper protect your camera by preventing it from touching flat surfaces when you set it down. The only thing you need to look out for is that perfect shot. The Glass+ 360 system is impressive. 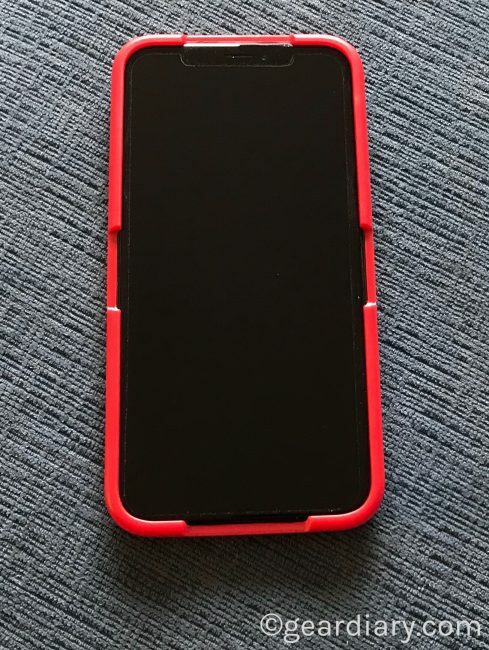 When the screen and back plates are in place and the bumper is wrapped around your phone you do indeed get a complete protection for your phone. And you get it all for under $70! All-around protection: Your gorgeous, new, glass-back iPhone looks and feels great in your hand. But one drop could spell disaster. Glass+ 360 has got you covered from every angle with smooth tempered glass on the front, a powerful hybrid glass on the back, and a clear, durable bumper that protects the edges and corners of your phone that are vulnerable to impact damage resulting from a fall. Get peace-of-mind protection that lets you go confidently anywhere life takes you. 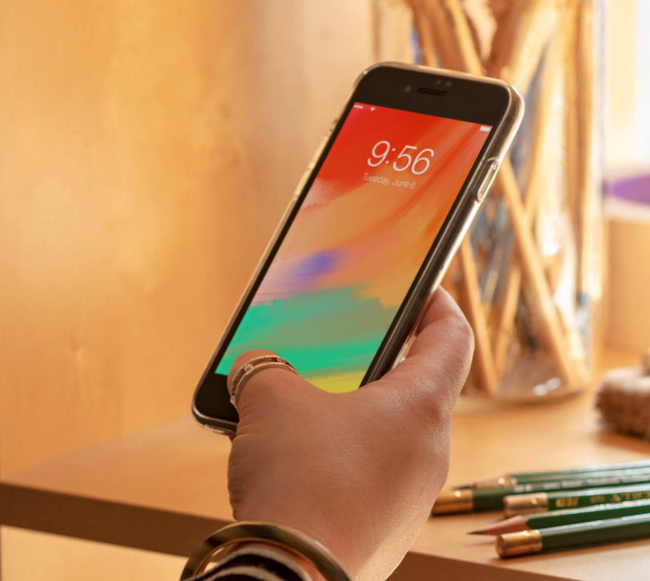 With Glass+ 360 you can show off the sleek, minimalist lines of your iPhone. 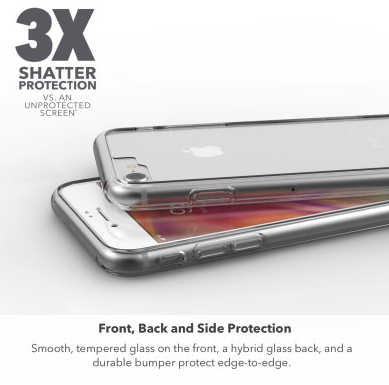 A tempered glass front, a hybrid glass back, and a clear, sturdy bumper guard front, back, and sides of your phone. And Glass+ 360 is compatible with wireless charging. Now you don’t have to sacrifice form or function to be fully protected. All this while still allowing for wireless charging!! I’m a fan, and I know you will be too! Check it out here.